This is my first Sunday participating in Sunday Stash, where you take the time to feature some fabrics in your stash. There is a button for this group but I can’t get it to work, so I’ll just share the link here for now. 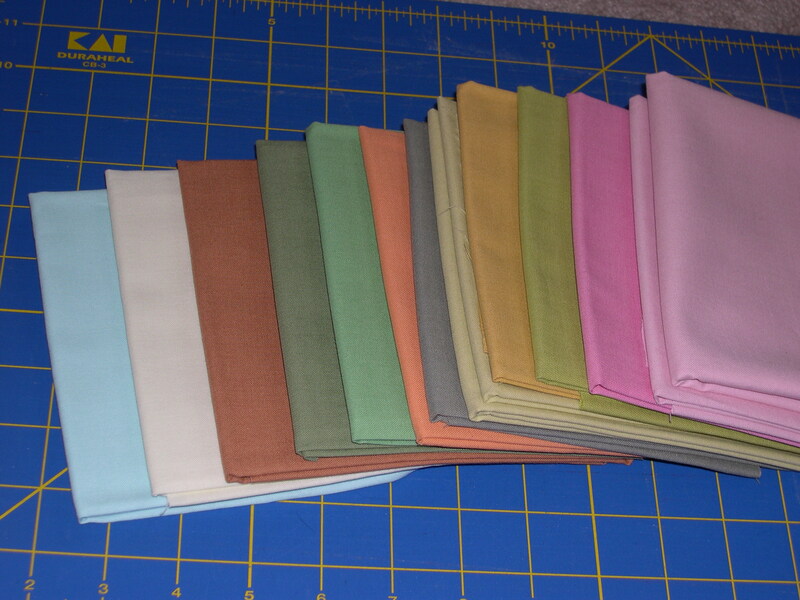 I decided I need more solids in my fabric stash because, well, just because! Also because a lot of the fabric in my stash is from various collections, so not a very broad stash. 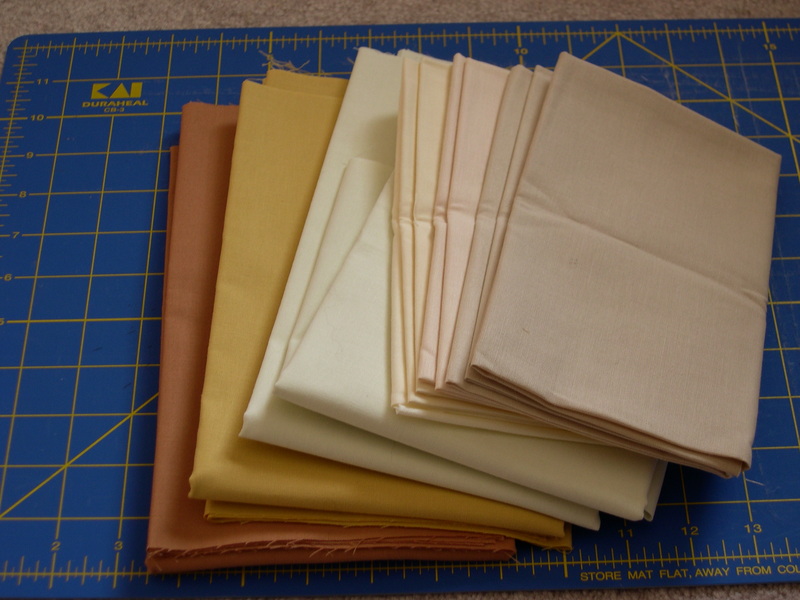 Therefore, I ordered this varied fat quarter pack of Amy Butler’s quilting solids from Sew,Mama,Sew. I like the mixture of rich and soft colors in this set, although the fat quarters aren’t quite big enough to use for borders on a quilt, but it’s good for stash-building and color-building. Maybe I will come up with an idea to make something with just these solids; that would look cool! I found some warm and some neutral quilting solids in my stash too, which might be more versatile to use in my current project in the works. I think I will definitely use more of the ivory and white solids, so that’s on my fabric stash-building list. I love solids and need them yet I never seem to have any. I guess when I am shopping I’m immediately drawn to the patterned pieces and skip over the solid ones. I couldn’t add the Sunday Stash button to my sidebar either. Well I could but it was too wide and it cut off half of it so I just decided to do without. Oh and I saw on a fabric website that Anna’s fabric is expected on the 15th. I forgot which one it was though so I guess on that day I am going to check out every single one I shop at. i noticed you were one of the commenters selected to win a moda turnover or sweet roll back in the fall. Gina emailed me, and i assume you, as well, all the winners in fact, to say that Moda was shipping those items to us between christmas and new years. i haven’t received mine and as far as i know new years is over. can you let me know whether you received yours? thanks so much. i’ve looked forward to playing with those bits of fabrics for months now and am peeved about someone at Moda not following through with their giveaway. I couldn’t get the button to work either. Love the mellow colors of her solids.